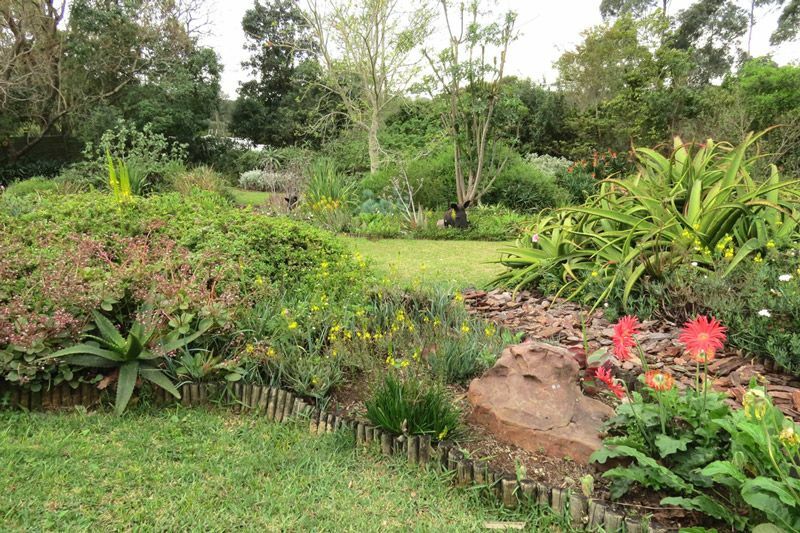 This year’s Indigenous Open Gardens showcased properties that abutt some of Kloof’s most beautiful natural areas, spaces that fall within the D’MOSS environmental planning boundaries. The guidelines behind this rather unique environmental concept, though, do not only apply to properties within these borders. 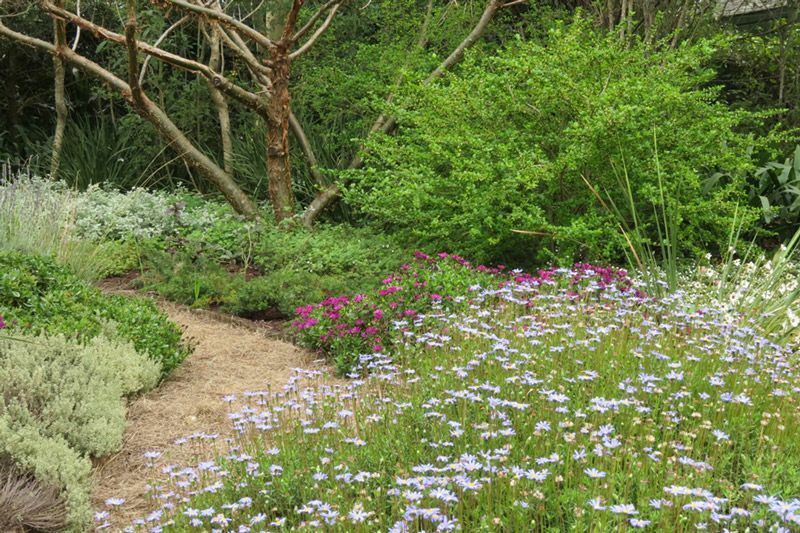 As the showgardens demonstrated so effectively, they highlight the vital need for connections between all private gardens and the city’s open spaces, helping to increase the available area in which local flora and fauna can thrive. 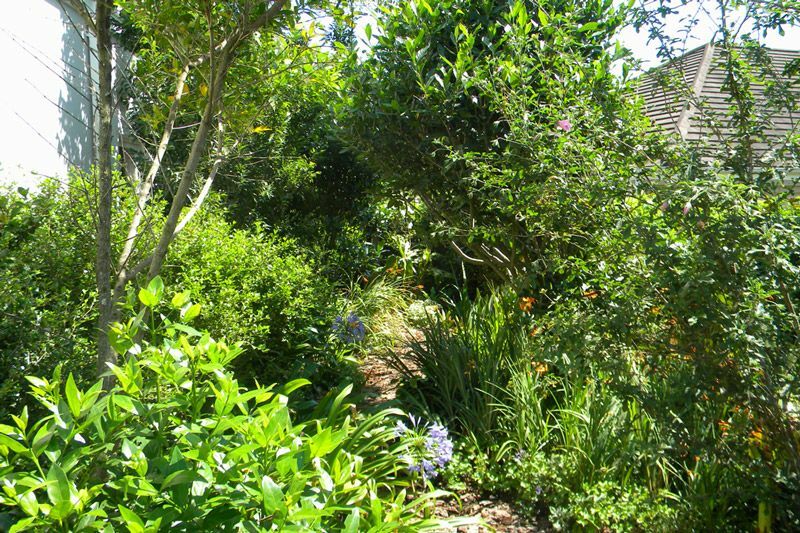 All property owners are thus encouraged to design and maintain their gardens as reinforcements to the local eco-system. How can we do this? 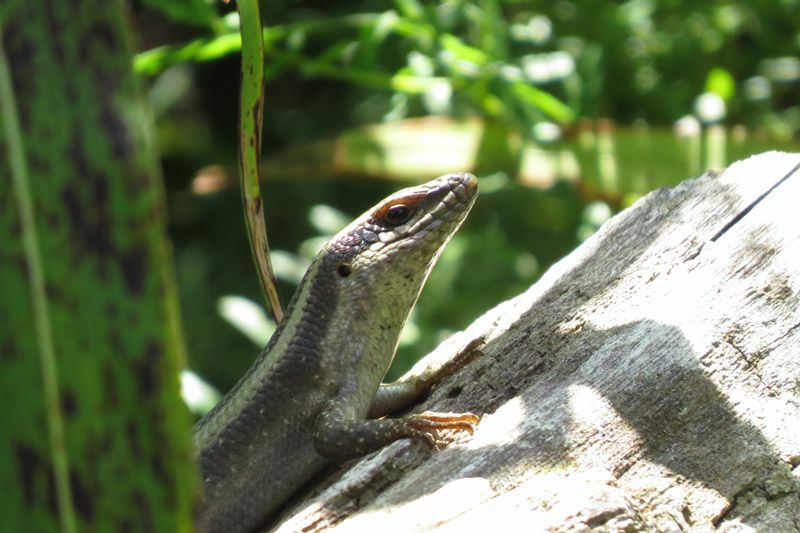 By establishing our gardens as habitat resources. 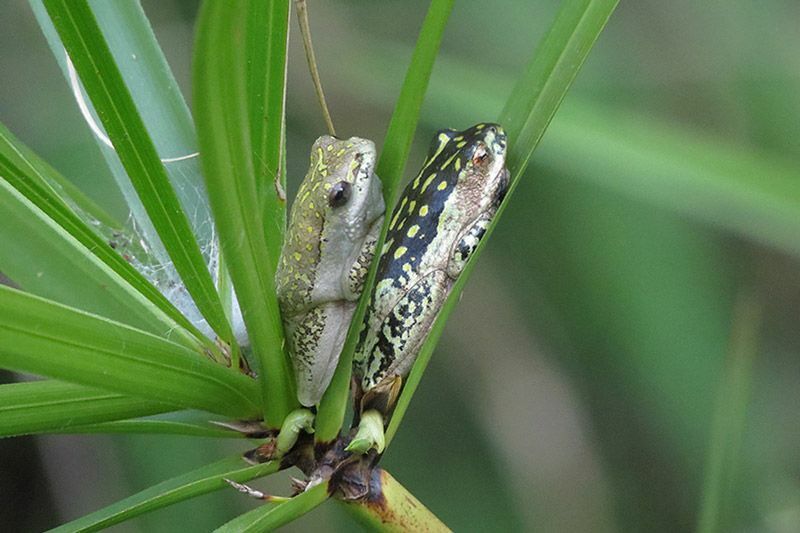 Simply put, a habitat is a place that satisfies an organism’s needs. It often include what many gardeners see as the messier or less desirable aspects of an ecological landscape; leaf munching insects, fungus, soil organisms, fallen leaves, old seed-heads, and rotting wood – all critical to the healthy functioning of eco-systems. 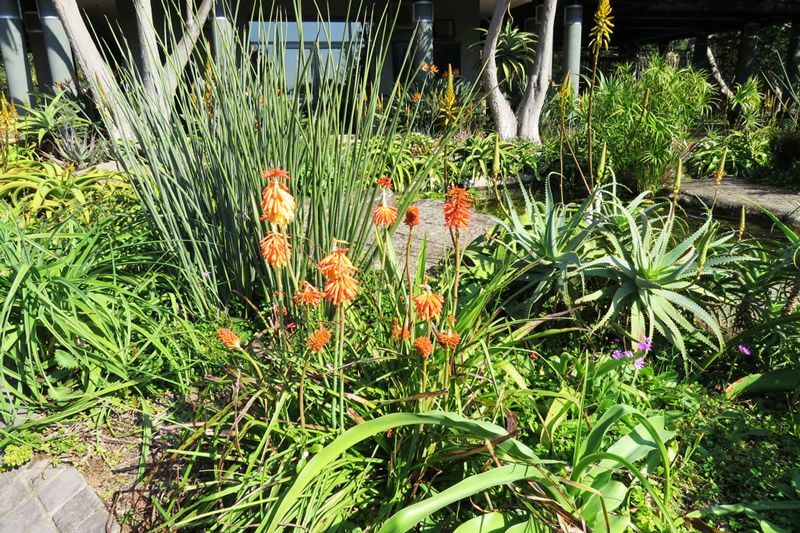 Most gardeners are hard-wired to look at aesthetics alone when creating gorgeous outdoor spaces. Now we need to think beyond designing for beauty alone and learn how to integrate local animal species into our gardens too. “In the past, we have asked one thing of our gardens: that they be pretty. 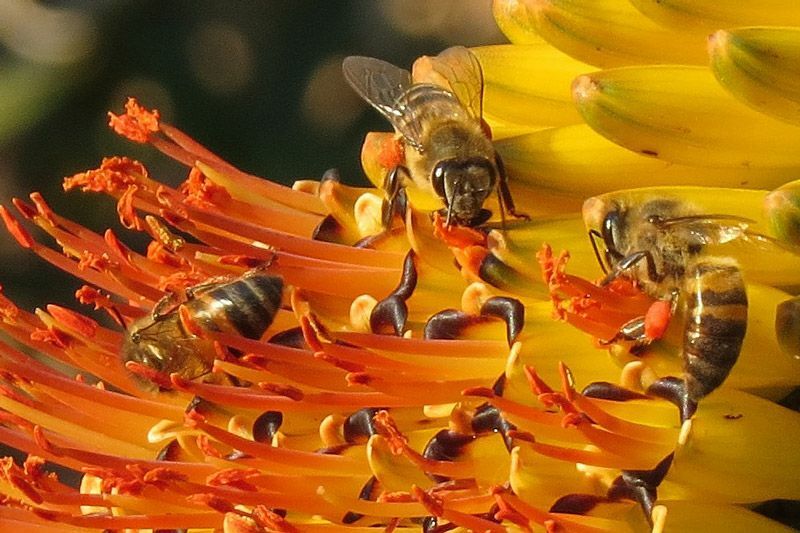 Now they [also] have to support life, sequester carbon, feed pollinators and manage water,” said American author and biologist Doug Tallamy. 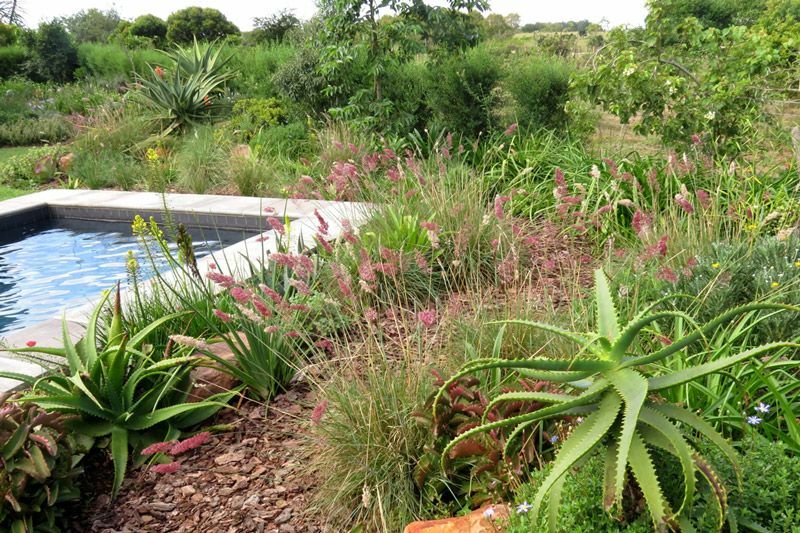 When designed to include a diversity of local species (don’t feel trapped by the ‘less is more’ principle of conventional landscape design), every garden can provide protective habitats for plants and animals. 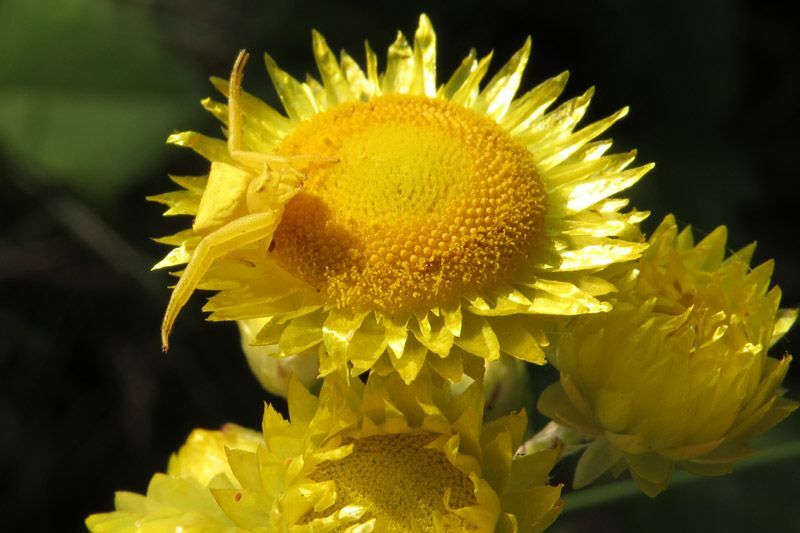 Including more than one habitat type is an effective way to improve the overall diversity of the garden, and the borders between them are often the most widely used by a variety of animals. Woodland birds, for example, will spend a lot of time at the woodland edge, from where they make frequent visits to grassland flowers, or to take a bath in the pond. 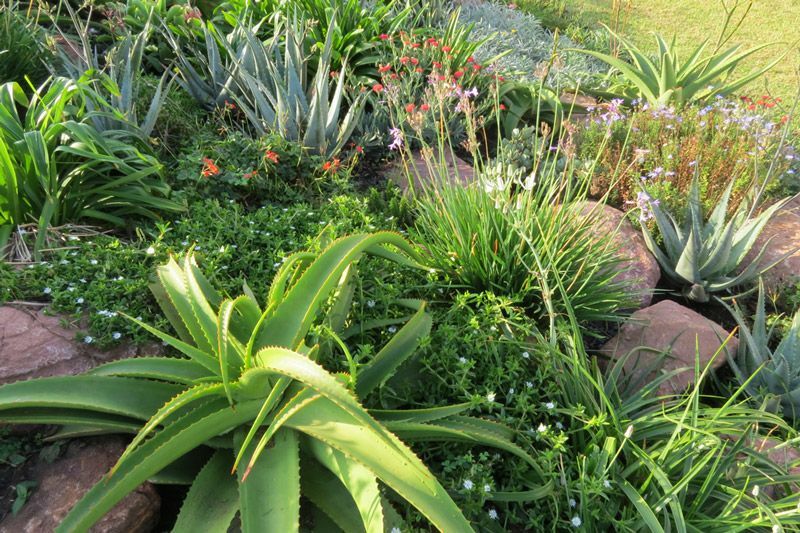 Even small gardens can offer a range of niches; don’t feel you need to plant an entire forest or build a farm-sized dam. Translate key components of local habitats into your design. For example: create light woodland shade with 3 small trees whose canopies barely touch, and underplant with species suited to bright shade. For deeper shade, choose a single large tree and tuck beneath it a couple of smaller understorey trees and a few shrubs. Layered so they fit together like a puzzle, this group will take up little space. Fill the rest of the area with groundcovers, perennials, and bulbs, even a creeper to provide nesting sites. With foliage filling a variety of above-ground levels, and roots feeding at different depths, you can fit a surprising number of plants in a small space. Including a deciduous tree or shrub helps to build up the leaf layer in which soil organisms, frogs, beetles and others will live and forage. Fallen branches and rotting wood will complete the habitat. Place your shade area at the edge a sunny grassland or succulent bed, provide a small adjacent pond, and you have 3 habitat types on offer! 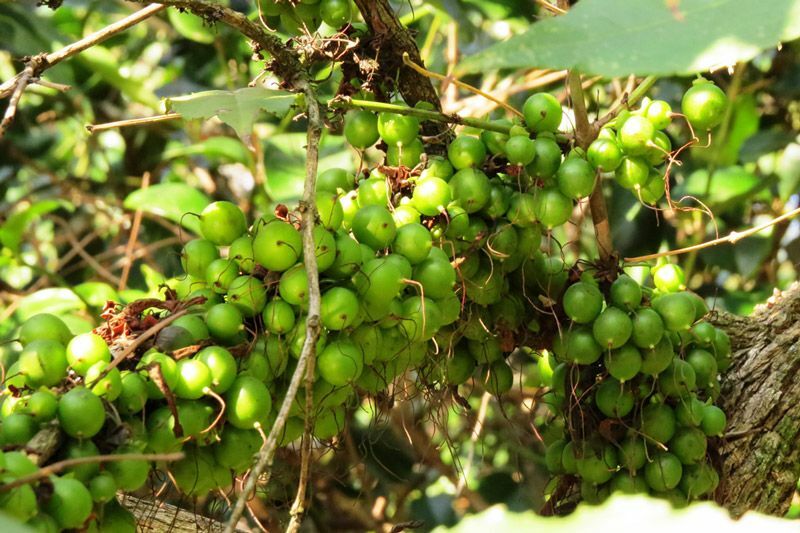 For the large tree and shrub components, make use species that can multi-task by providing a range of food sources. 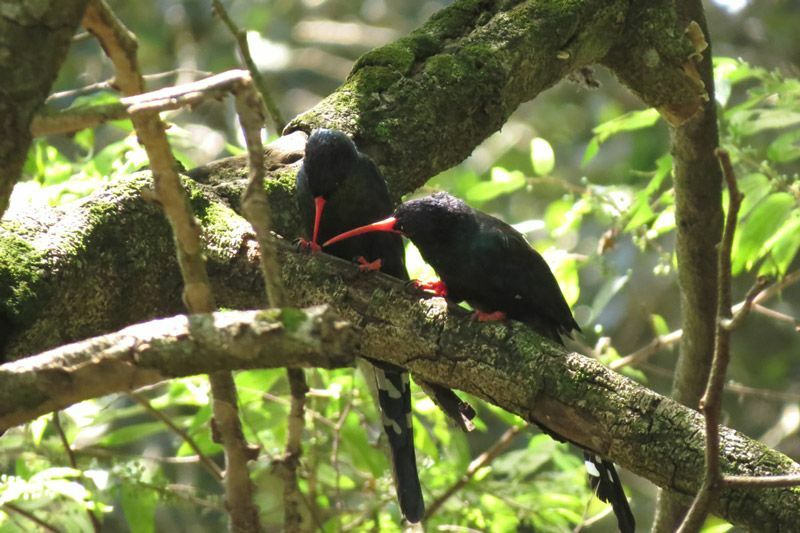 For example; flaking bark in which insects hide (birds like the Green Wood-hoopoe will probe for this protein- rich snack); flowers that offer pollen and nectar, and a variety of different sized fruits or berries to cater for small to large animals. 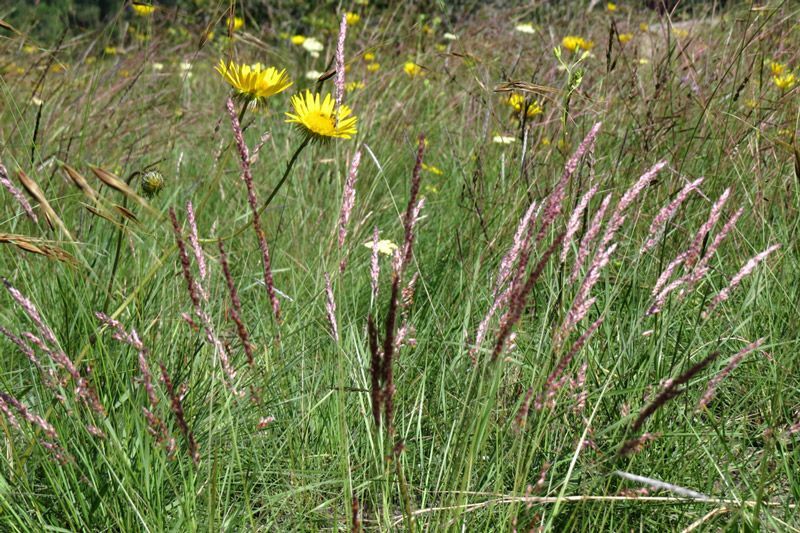 Include grasses and wildflowers in generously sized drifts to attract the attention of pollinating insects and birds. 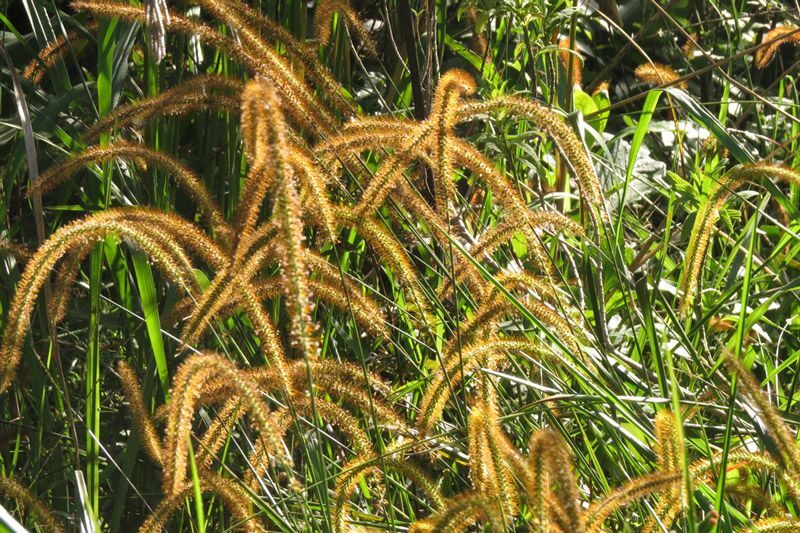 Grass seeds are in short supply as many gardeners use a limited variety of ornamental species that look good year-round. 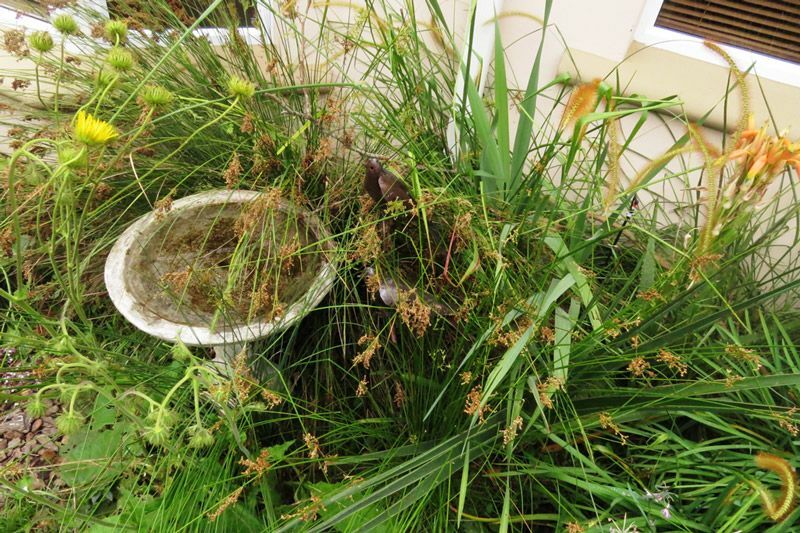 But many wild grasses make quite beautiful garden plants if you are prepared to accept seasonal beauty and a bit of untidiness during their dormant season. Provide a wild exclusion patch (keep your activities here to a minimum); a fruiting shrub, a clump of grass and wildflowers, and a light creeper, and animals will revel in this safe space. Linking with boundary plants: plant a variety of trees, shrubs, and creepers along your boundaries to act both as a security screen, to provide safe movement corridors for urban wildlife. 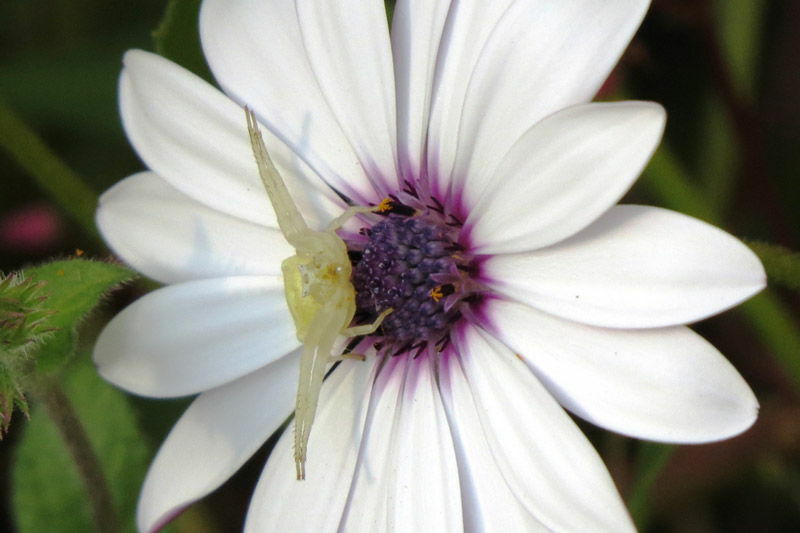 Mix species with thorns, fruits and flowers. Encouraging your neighbours to do the same will increase the depth of the corridor between your properties, providing cover and food for a greater number of animals. 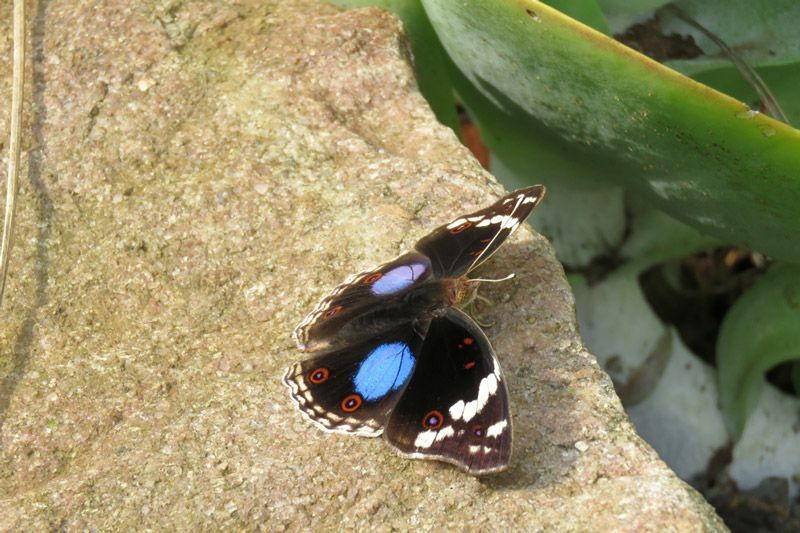 Include rocks (quarry bought, NEVER weathered rocks) as sunbeds for lizards and butterflies. They need the radiating heat to warm their bodies, and these platforms will be well used if placed among food sources and protective foliage. A variety of other creatures will burrow into the cool soil beneath them. Dead branches make attractive natural focal points and to edge a bed. They double as insect hotels as they decay, and provide look-out platforms too. Provide year-round food supplies. Draw up a table and colour in the months to show when the various food sources are available your garden; this will help you choose food sources to fill the leaner months. Insects are essential to the healthy functioning of habitats, and we must provide not only for the beautiful butterflies but the slugs, snails, caterpillars, beetles, and others too. Aside from their beneficial activities, as a protein-rich food source for so many species, they form the base of the entire food web. Any reduction in the biomass of insects has adverse consequences up the food chain. 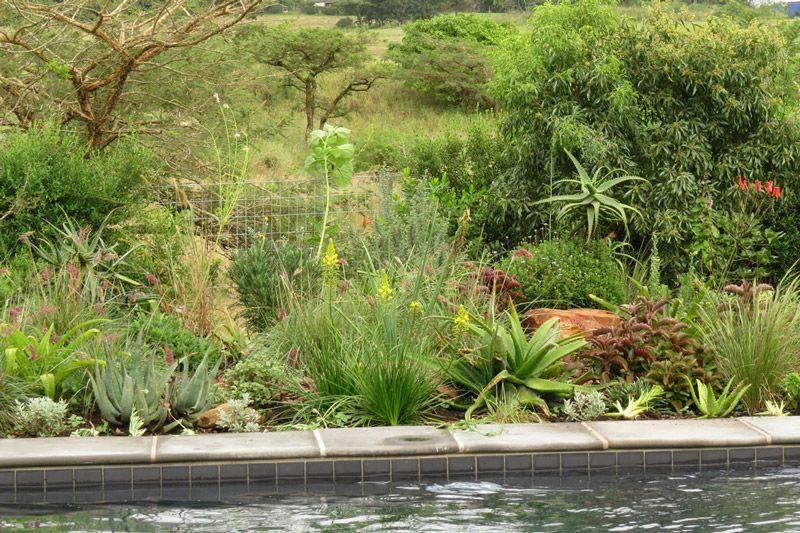 Designing our gardens to integrate the full range of diversity – fauna and flora – is both satisfying and fun. It can also contribute to making up for the habitat already lost to development, a key aim of both Kloof Conservancy, and D’MOSS. 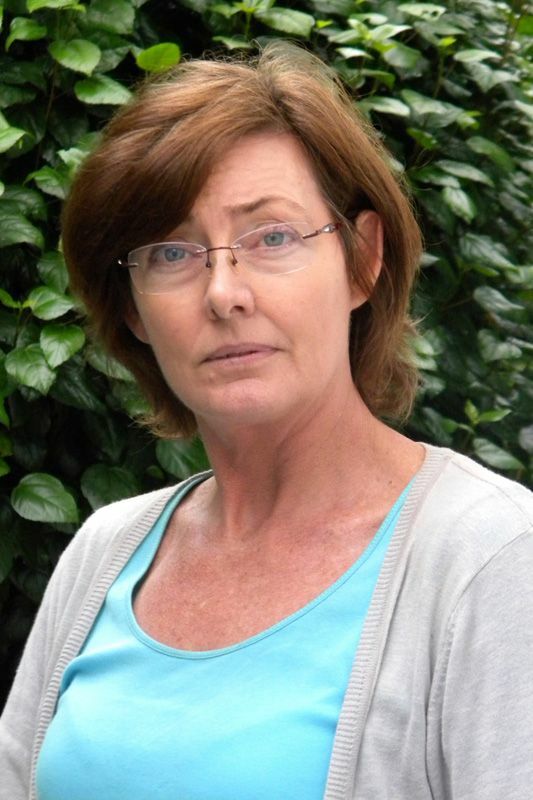 Anno Torr is the editor of The Indigenous Gardener digital magazine, chairman of Iphithi Nature Reserve and sits on the Botanical Society of South Africa KZN Coastal Branch Plant Fair Committee.